Dansettte Record Players are our speciality. 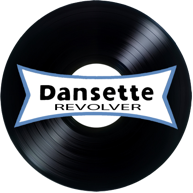 The first website that was dedicated to refurbished Dansette Record Players. We offer restored Dansette record players, Dansette spares including Dansette labels and badges, styli, turntable mats for both BSR and Garrard decks, catches and hinhes and replica control knobs.